Soulful LA-based songstress Banks, who just wrapped her first Coachella, has now announced a release date for her debut album, Goddess. Today she also gave a taste of the record by premiering the title track on BBC Radio 1xtra. 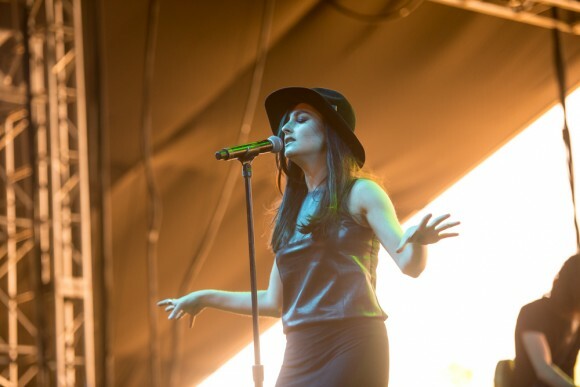 Goddess will be the first full-length for Banks, but her first single came in February 2013, with “Before I Ever Met You.” She went on to release the EP Fall Over last March, then another, London, in September. Other influences on the upcoming album, due out September 9th, on Harvest Records, include The Weeknd, who Banks recently finished touring with. Catch the songstress on tour this summer, as she hits festivals Sasquatch! and Bonnaroo, as well as such venues as Philadelphia’s Underground Arts.